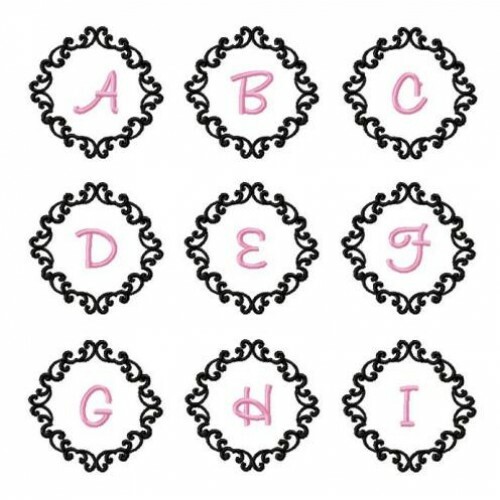 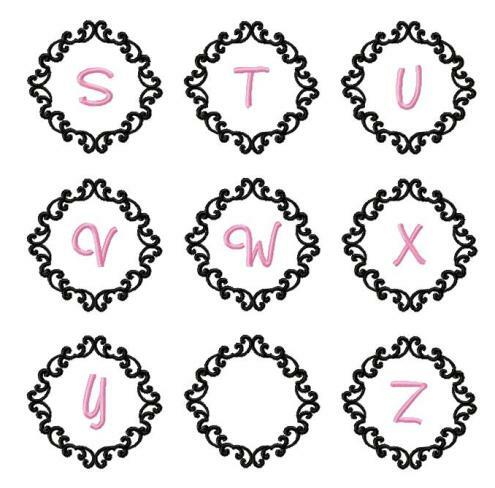 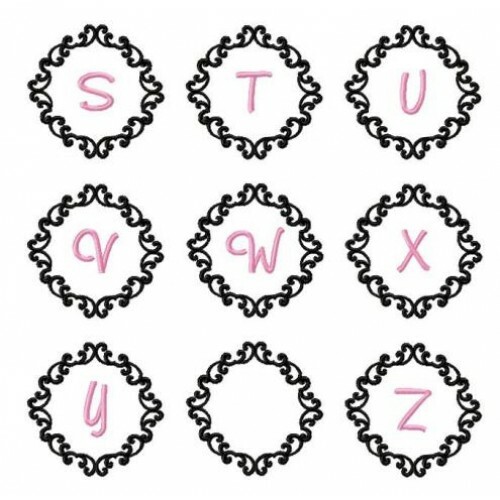 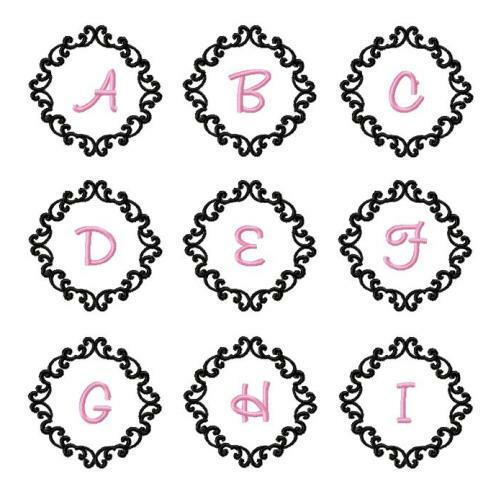 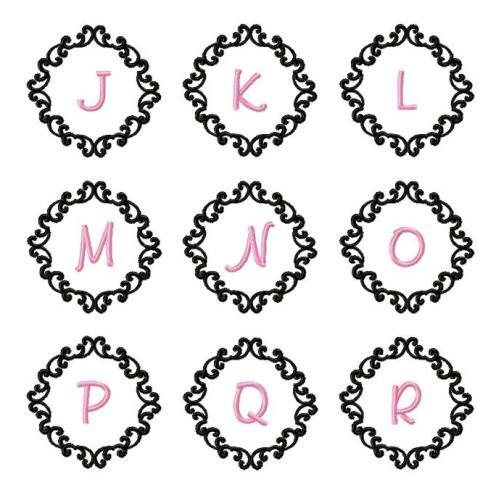 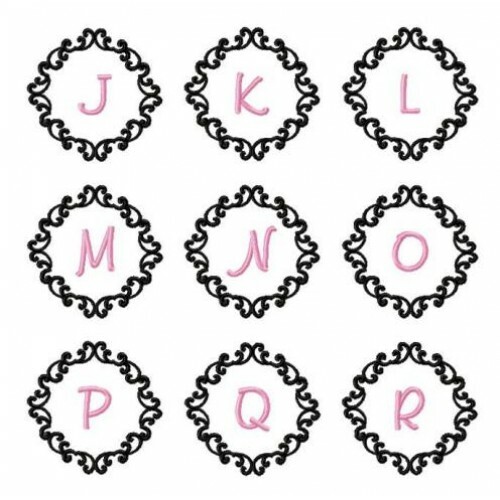 I LOVE this swirly monogram frame and font! 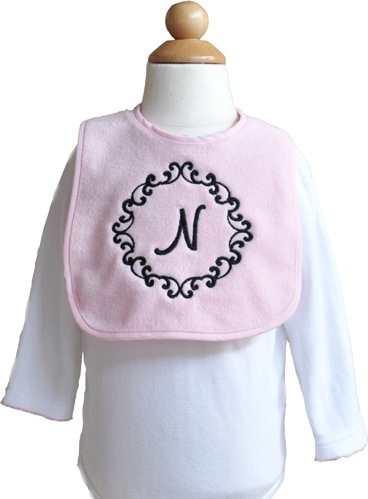 It features a swirly frame with monogram letters embedded into the center. Wouldn't it be beautiful on burp cloths and towels for the kitchen and bath? 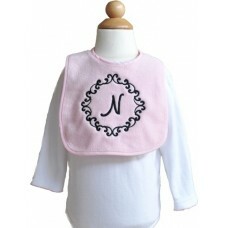 It's also darling on bibs as you can see above, so girly!